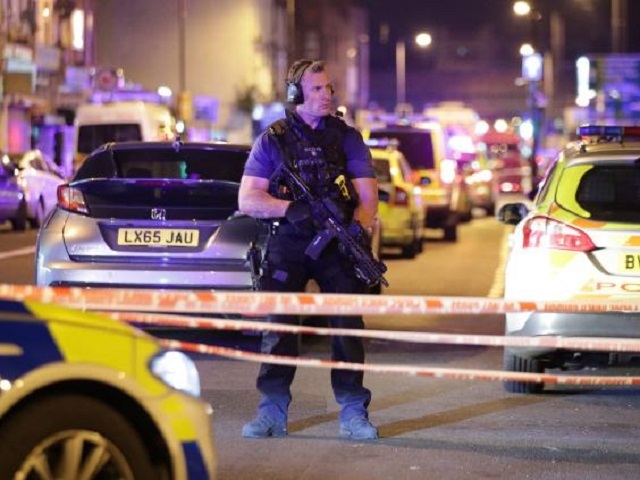 The attack on Finsbury Park mosque comes amidst a string of other recent attacks and tragedies that have struck Britain in recent weeks. There is an understandable sense of shock, anger and despair as the nation tries to recover from events many feel they have no control over. It seems to me that we are living an unrelenting Groundhog Day scenario: attacks immediately followed by crass media commentary, followed by empty government promises, followed by a slow slide back into normalcy…until the next one. This cycle doesn’t appear to show any signs of abating. This is primarily because, time and time again, the core issues fail to be appropriately addressed. The events that have taken place over the past year are not coincidental; from the murder of Jo Cox, to Westminster, Manchester, London Bridge and Finsbury Park mosque, there is a clear pattern that seems to be emerging. That is, these events are marked by the primacy of violence, and serve as concrete evidence to suggest that the current British political structure is simply no longer working. It is weak, and it is ineffective. People of all groups are understandably angry, alienated and disenfranchised. Under years of neconservative, neoliberal governments, the cracks are opening-up widely to reveal the shambles of a dangerous political system that has consistently failed its people. In this light, New Labour’s re-embedding of its Tory predecessors’ neoliberal dogmas can be seen as a key driver for sowing the seeds of instability, doubt and social destruction, at home and abroad. What has followed has been a recipe for disaster, which the current government can no longer cover up, as the effects are so far-reaching and palpable for all. The unstable climate of war and terror, alongside austerity and cynicism, have all combined to develop a toxic breeding ground for racism, xenophobia and division to thrive. The various terror acts coordinated by Muslim men are not simply the result of a perverse ideology, but more directly the outcome of a failed and broken foreign policy that has helped create and strengthen the threat. 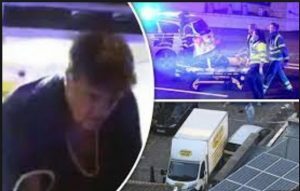 In a similar vein, the terror attacks coordinated by white men are not simply the result of mental illness, but rather the outcome of sustained policies, legislation and right wing rhetoric that has enabled white supremacy, Islamophobia, and anti-migrant discourse to flourish. Sayyid was writing about the Middle East, but his diagnosis holds true here in the West, too. Against the backdrop of the war on terror, Brexit, and ruthless cuts, the UK government has for years ignored the heart of these social problems, because – simply put – it is not in their interest to pay attention. This is a government driven by greed, not compassion. It is more concerned with maintaining special relations with the US and keeping rich ruling tyrants of the Middle East happy. It is more concerned with preserving the remnants of Empire, rather than embracing the diversity of its population. And it is more concerned with making the rich, richer, and the poor, poorer, rather than creating an equal and just system that offers everyone decent prospects. Is it really any wonder then that the youth took to the streets of London in 2011? Is it any wonder that food banks have become a central feature of British society? Is it any wonder that while the government is contracting mega-prison projects, suicide rates amongst prisoners are at an all time high? Is it any wonder that tower blocks, filled with bodies from poorer communities, blaze in London’s night sky? And is it any wonder that people are ploughing through the streets of Britain in hateful, merciless killing sprees? Self-interest over public interest is the hallmark of a weak and broken government, and the effects of this, although certainly tragic, are hardly surprising. When people have so little to hope for, and not much to lose, it is the primacy of violence, rather than that of the political and civic life, that will assert itself. These constant, and somewhat normalized bouts of violence indicate strongly that this form of governance is severely limited, and no longer has the capacity to function successfully. In order to productively challenge the current chaos, we now find ourselves needing to re-establish this essential primacy of the political. This means strong, selfless and courageous leadership, which is committed to embedding unity, inclusivity and hope. Only then might we be able to break this Groundhog Day cycle and collectively move towards ensuring a better, more stable future for all.